A beautiful 18″ x 24″ poster by Tuckey’s illustrator Rod Cole. A special night and the ultimate Nantucket experience! 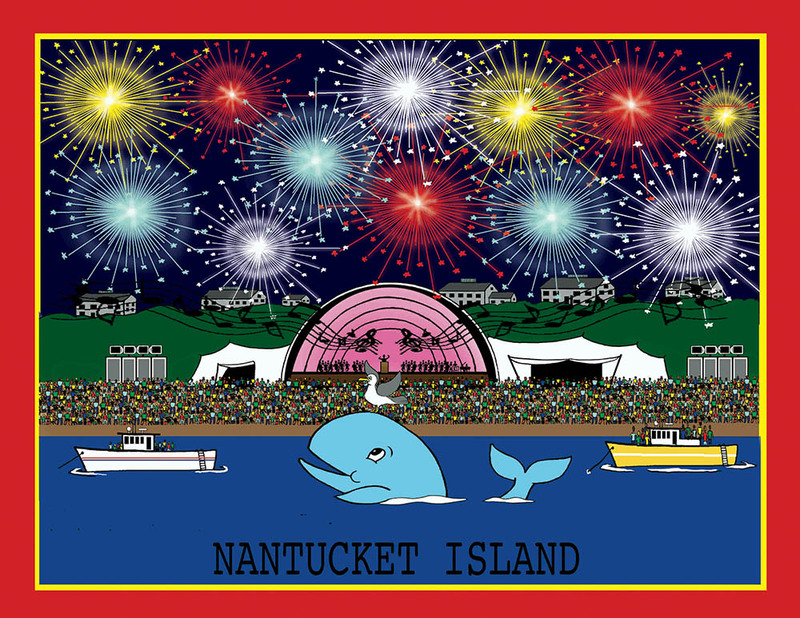 Tuckey always looks forward to the upbeat music, happy people having fun, and the fabulous fireworks display. Let this poster brighten your playroom with its magnificent and colorful bursting fireworks!